Lawmakers in South Sudan have submitted a proposal for the extension of Salva Kiir’s presidency until 2021. President Kiir’s second term officially ends this year but his party wants him to extend his stay in power to oversee the country’s struggling peace process. South Sudan’s leading opposition has rejected the proposal, insisting it compromises the very same peace efforts, days after the country’s latest ceasefire was broken, a matter of hours after being implemented. The proposal put forward by lawmakers in South Sudan would see Salva Kiir extend his second term by another three years, keeping him in power until 2021. parliament intends to vote on the proposal next month, which will determine whether it’s passed into law. South Sudan’s ruling party holds the majority of seats in parliament which means the proposal will almost certainly get the go-ahead unless the next round of peace talks change anything. 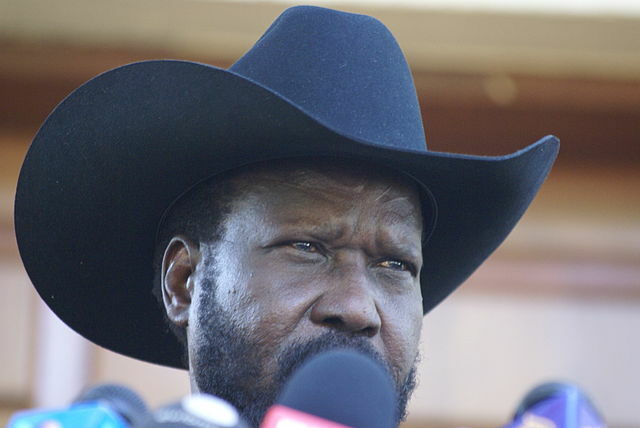 South Sudan’s SPLM-IO opposition party wants Salva Kiir to step down as part of any peace deal agreement but the ruling party is pushing for compromise. It insists the party’s supporters will see the stepping down of Kiir as a political defeat to the opposition, suggesting an extension of Kiir’s second term is for the good of South Sudan’s peace prospects. However, the SPLM-IO has publicly rejected the proposal, calling it an illegal moe that could damage South Sudan’s already-struggling peace process.